I took acid the day before my brother’s accident. I rarely tell anyone about it. My first and only acid trip that went horribly wrong. I saw souls and was outside of my body and I thought for sure I was going to die. We went to a light show at the zoo and I cried the whole time. My friends kept insisting I listen to music so that I would relax. I thought it was a conspiracy against me, but it was true: the music made me see pictures that calmed me down. I fell asleep that way, headphones in, music blasting in my ears. The next day I woke up and the world felt different. Tangible. Sensational. I wandered through that day in a half daze, wondering what I was going to do now, that the whole world had changed. And then I got the call that Damon might be dead. Two things at once. The world had shifted, and then it shattered. For a while I thought it was my fault somehow. That I must have caused it, that I was being punished. “Where did my brother go? Where is he? And I think I have flashbacks. Nothing about the world feels solid to me. On a good day that is breathtakingly magical. On a bad day it is traumatizing. The accident has driven a wedge in between my family. A family that was once so close, even if only pretending to be happy, not knowing what true happiness was. There was once a time where my parents loved each other and got along. There was once a time where we did things as a family and it was fun. We did have a summer, that summer of 2011, where we all got along. Where we went to Disney and South Carolina. All I remember from it is our hysterical laughter. My farewell before college. That was real, I tell myself. That did happen. We can’t understand each other anymore. We can’t know each other’s grief, because the grief of the other re-traumatizes us. On one hand we are the only ones who know what it feels like. On the other we are not having the same experience. I can’t understand my mother’s experience and she can’t understand mine. I don’t know my sister’s and I don’t know my father’s. We all know what it’s like to lose Damon. But we don’t know how that feels to one another. We don’t know what that accident caused in one another, what has happened since that time. And sometimes we go to one another to be held, but it is sometimes a mistake. Because we cannot hold one another. An outside person can hear my grief and listen to it fully. They will never understand it, but they can hold space for me. My family can’t. I listen to my mother’s grief and it re-traumatizes me. I go to her with my grief and it just causes her to feel her own more deeply. We cannot hold space for each other anymore. This is why I say to my mother: write your story. Any way you want. Portray me any way you want. It will be different than mine, but that’s because it is yours. It is not anyone’s fault. It cannot be solved. It is just how it is. Someone the other day had a comment about how it didn’t feel right for my sister and I to be involved in Damon’s care. And I thought, for the millionth time, how no one else gets it. I said: I spent multiple nights a week in a cot next to Damon’s bed while he was unconscious in a coma, monitoring the nurses while they changed him. Looking at his bed sore that was down to the bone, making sure they were being nice. Watching his 6’3” body drop down to 115 lbs when they accidentally starved him. A couple years ago, I did some of his overnights. I got over myself and learned how to help him pee in a bottle: because what is my discomfort compared to him having to sit/sleep in wetness? Don’t get me wrong, I still totally prefer someone else do that instead. But, also: it’s just not a big deal. You don’t think I have opinions on how my brother’s care is handled? Is it healthy? Is it unhealthy? Is it appropriate? What even does that mean, by this point? My grandmother died last December and I don’t know how to write about her, still. I think I feel conflicted because I felt rejected by her, at the end. I think I may have been her favorite. That might be self-centered of me, maybe. But I called her all the time, I visited often. I liked talking to her because we were similar in a lot of ways. Sometimes my mother says I’m turning into her. I can’t decide if it’s a compliment. And I do. But she liked to hear me talk too. So I would go to her house or call her on the phone and she would cut up kiwis and give me candy and would spend a long time listening to every single thing I said. And I would spend a long time listening to her talk about the weather, and our other family members, and celebrities, and other gossip. And I enjoyed it, because I felt equally heard. When I was sad, I’d call her. Because she would talk about nothing with me, and I always felt better after. I don’t think anyone in my family would describe her as a nice person. She complained a lot. She was mean to my mother. She was demanding of my grandfather. She had few friends, voted for Trump, and her opinions on everything – especially the way her food was made – were strong, didn’t make sense, and were unchanging. But as she got older she became more miserable and she got worse after my grandfather died, in the winter of 2014. His death was awful. It came out of nowhere. We all thought he’d long outlive her. But then all of a sudden he had a heart attack and a surgery that failed and it was a whirlwind of hospital time and him clutching a heart pillow and then he was gone. The best man I’ve ever met. I still don’t know what his flaws are. He took care of everyone at once. She moved in with us, then. And it was a disaster. Sometimes it was fun, and I’d have moments of our relationship before. But then she would refuse to get her own glass of water or scream about the cat or make a politically awful comment and I wouldn’t be able to stand her presence anymore. Everyone was annoyed by the way she handled my grandfather’s death. She didn’t cry much. She changed the subject. She didn’t seem sad enough. She just became meaner to everyone. Once I brought her a tiny pink beaded bracelet and I told her, these are for grief. These stones help with grief. She took it and put it on but I didn’t think she actually cared about it much. And then one day later she said, Demetra? What did you say these were for, again? And I told her and her eyes teared up and she said thank you. There were a few times in my house where I brought him up and had her talk about him. And she would talk for a little until she got upset and then immediately changed the subject. She didn’t know how to handle grief. So she pushed it away. But she wore that bracelet until her body got too swollen in the nursing home and they had to remove it. I have it, now; my mom kept it for me. I feel guilty because I feel like I avoided her at the end. I wasn’t home much the year she lived at our house. Then I moved to Pittsburgh. When I did come home I didn’t want to go sit at the nursing home. It made me upset. She was demanding and miserable and I didn’t like it. One time I went and printed out all these pictures from my SE Asia trip plus pictures of our family and she barely glanced at them, didn’t care to see them. She didn’t want to talk on the phone anymore because it was hard for her to hear. My uncle and my mother said she was losing it. Last thanksgiving the entire family went to my uncle’s and she came from the nursing home and she sat there, a shadow of herself. I think it was nice for her but also really confusing and hard. And then she died. I didn’t even think I’d be sad by that point since I knew it was coming, but I was. I still am. I miss our old relationship a lot. I mourn the pain she could never release. Sometimes I get really tired of holding all of these things. Sometimes it genuinely seems like it will never end. That I will never have grieved it enough. I cannot even begin to understand all the different places these wintertime losses are held in my body. I feel like I feel pangs of them throughout the year and then as the cold comes my body suddenly remembers all of it fully. I’ll feel sad and I won’t know why. I’ll feel irritable and I won’t know why. Then I remember that my brother is gone and my family is still torn apart and my grandparents are gone and nothing will ever be like it was again. And it’s weird, right? Because this is how it is now. But on some level I think I still expect it to be a dream, for it to end. And it never does. 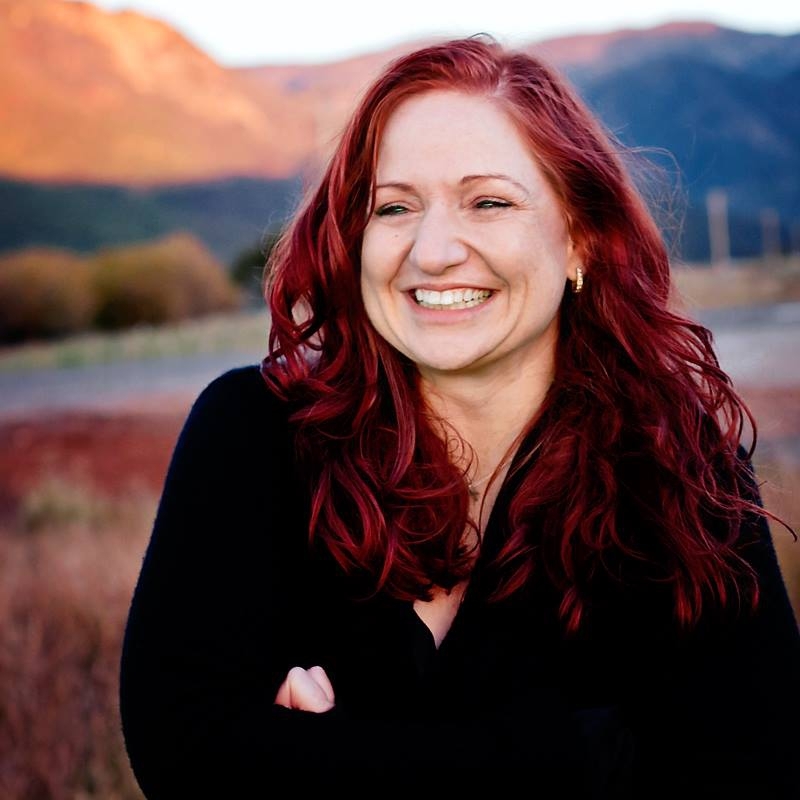 Demetra Szatkowski is an empowerment coach for women. 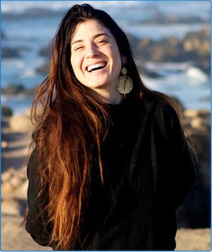 Her work focuses on sexual energy and liberation, strength training, astrology, and herbalism. Read more about her at www.fitnesswitch.net or follow @love_demetra. We are proud to have founded the Aleksander Fund. To learn more or to donate please click here. To sign up for On being Human Tuscany Sep 5-18, 2018 please email jenniferpastiloffyoga@gmail.com. For women and non-gender conforming humans. Get ready to become more free as you tell the truth about who you are and listen fiercely to others doing the same. Get ready to create what it is you truly want for yourself. This program is an excavation of the self, a deep and fun journey into questions such as: If I wasn’t afraid, what would I do? Who would I be if no one told me who I was? Go beyond your comfort zone to explore what it means to be creative, human, and free—through writing, asana, and maybe a dance party or two! Jennifer’s focus is less on yoga postures and more on diving into life in all its unpredictable, messy beauty. Guest Post by Christy Turlington. The Manifestation Q&A Series. The Joy of Simply Waking Up.